My first run of the year was an easy 30 minutes up the Spring Creek Trail and back. The snow that fell before dawn on New Year's Eve has been cleared from the trail, but because of unusually calm conditions, lingers on the branches of trees and bushes and along fences. 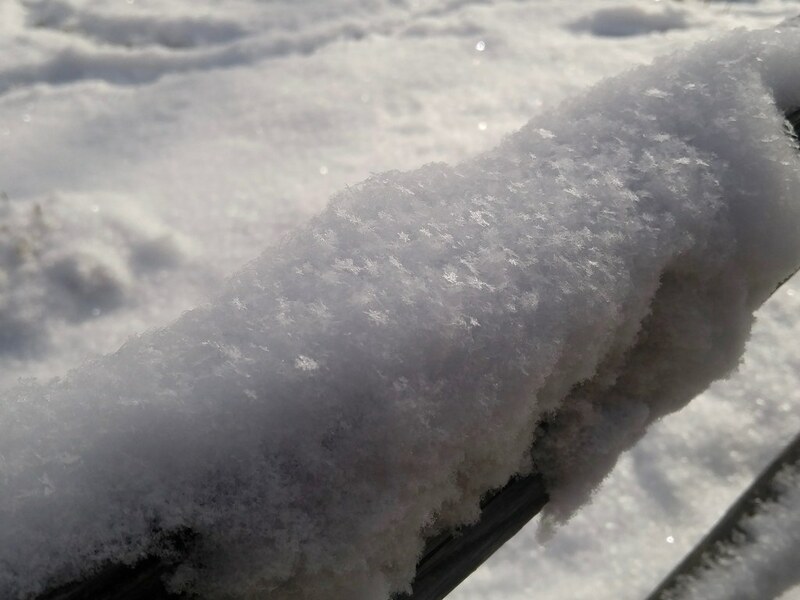 Our low temperature this morning was -15° C, a prime temperature for the growth of plate and dendrite ice crystals. Temperatures warmer and colder than this favor the formation of columns and needles. I got down to less than 2 hours running per week in December, which is maybe too low, but since the weather was so mild I was on my bike a lot more than usual. My base feels okay, and I'm planning to run 3 hours next week and work my way up to 6 by the end of April.